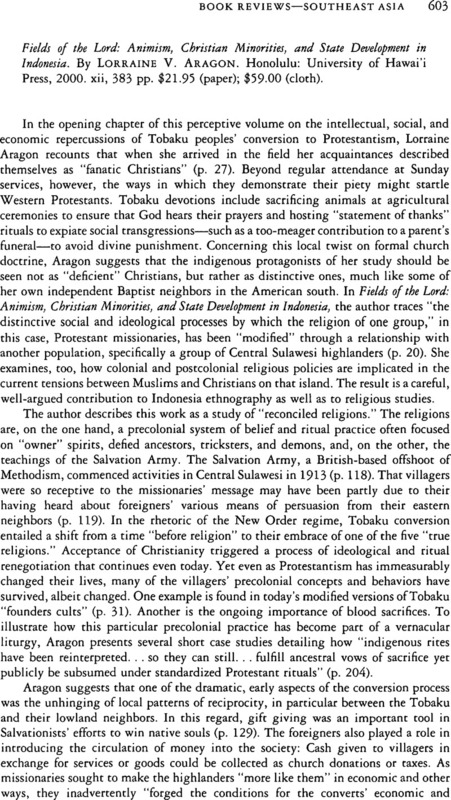 Fields of the Lord: Animism, Christian Minorities, and State Development in Indonesia. By Lorraine V. Aragon. Honolulu: University of Hawai'i Press, 2000. xii, 383 pp. $21.95 (paper); $59.00 (cloth).